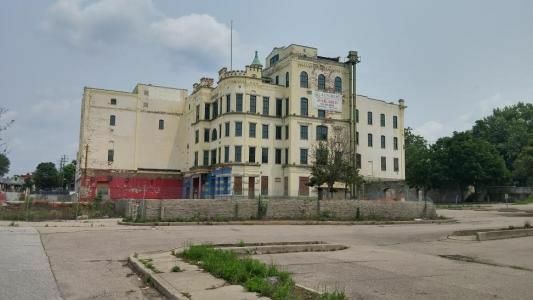 The once-doomed Bavarian Brewery Building will be remade into a new home for the Kenton County government, the facade of its prominent castle-like main building remaining in tact and a new building constructed to its north. 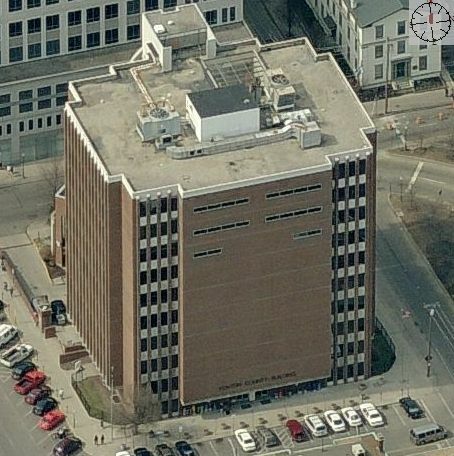 The county's current home, the administration building that towers over Court Street near the Roebling Suspension Bridge, will also be remade. What was once home to involuntary residents via the county detention center that was once located there, will now offer a more voluntary residential option in the form of high-end homes stacked upon one another in the 1969 building. 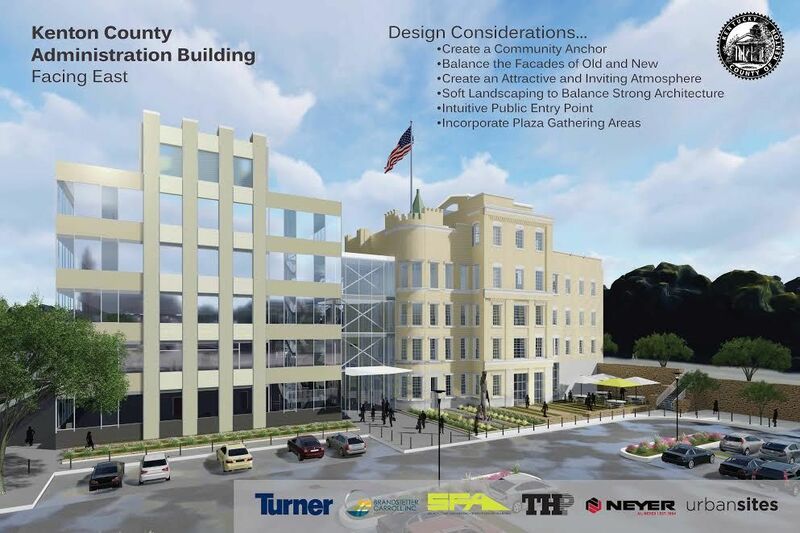 The Kenton County Fiscal Court accepted the bid from Turner Construction on Wednesday afternoon, at a cost of $24,997,975, to oversee both projects. Negotiations on a final price will commence immediately and Judge/Executive Kris Knochelmann anticipates that that process will take about two weeks. The public is invited to a Wednesday afternoon session to check out the design options, from 4 to 6 p.m. at Covington Latin School. "It has been an exciting process. Now the work is going to ramp up big time," Knochelmann said. Turner beat out Megen Construction, whose bid was slightly lower - but lost in the comprehensive evaluation by the county's committee. "We put in a lot of hours evaluating both proposals we received on June 7. They were quality proposals," said County Administrator Joe Shriver. The Fiscal Court was eager to move forward, unanimously accepting Turner's bid. "This has been a long process, sometimes complicated and sometimes confusing, but it really was a good process," said County Commissioner Joe Nienaber. "I think we had two great bids and two great bidders. To put that much time that both of them did, you just feel bad that one has to not get it." Nienaber served on the county's evaluation committee. "We are going to get a good product either way," he said. "It is a big achievement and at this point it is going to be even bigger when the real work starts," said County Commissioner Jon Draud. "I'm very proud to be part of that." "I'm proud to present something that I think is going to be very transformational, not only to the City of Covington, to our county, but to the region," said County Commissioner Beth Sewell. "It will be iconic and an important structure as people cross the great river and see what's here." The Bavarian, named for the 19th century brewery that operated on the site through the middle of the 20th century, nearly met the wrecking ball. Its previous owner, Columbia Sussex, which purchased it in the hopes that Kentucky would legalize casinos and that one would operate there, allowed the structure to decay under its stewardship. Then, when casinos didn't happen and no buyer came about, the Crestview Hills-based company sought to demolish it, arguing that the land, adjacent to a heavily-trafficked stretch of I-75, was more valuable without it. The City of Covington disagreed. The city's urban design review board rejected Columbia-Sussex's plan to tear down the Bavarian, a decision then upheld on appeal by the city commission. The case lingered in Kenton County Circuit Court when the Kenton County Fiscal Court, in need of a new home, swooped in and made a surprise purchase. 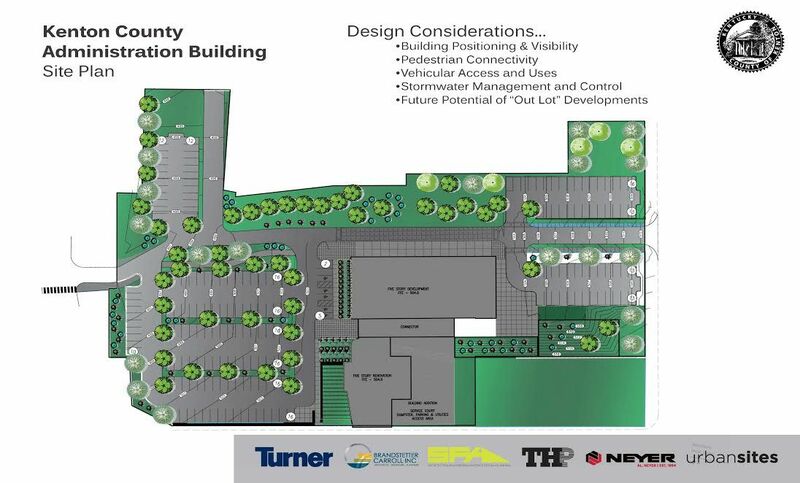 Meanwhile, the future of the current Kenton County Administration Building had been the target of much speculation, too. At one point, Northern Kentucky University's Chase College of Law considered a move to the site from NKU's Highland Heights campus. The school ultimately decided against it. Now, the goal is to transform the building into high-end residences. Whether they would be rental or for-purchase has not yet been determined. The county won't vacate the building until 2019. Shriver said that Turner found an old image from when the building was originally under construction in the late 1960s and built its concept around that, encasing the concrete in glass and using the protruding concrete as balconies for the residents. 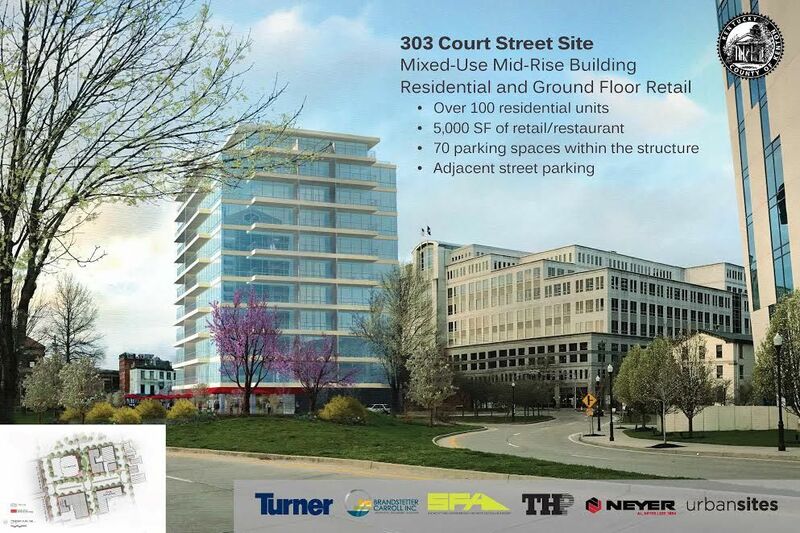 Further plans call for possibly placing a parking garage on the lower levels, possibly adding an additional level atop the building, and closing a portion of Court Street to create a courtyard, Shriver said.